SEOUL, May 8 (Yonhap) — A total of 366 North Korean defectors arrived in South Korea in the first three months of this year, down sharply from 566 in the same period last year, the Unification Ministry said Tuesday. 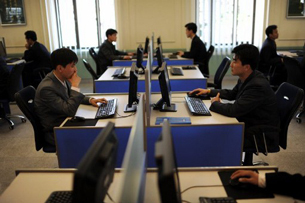 The North Koreans are composed of 119 men and 247 women, according to the ministry, which handles inter-Korean affairs. Rights activists said the number of new arrivals decreased as the defection of North Koreans has become more difficult due to crackdowns on defectors and increased costs in illegally crossing the border into China. Many North Korean defectors in the South claim that they bribed North Korean guards to flee across the border into China. 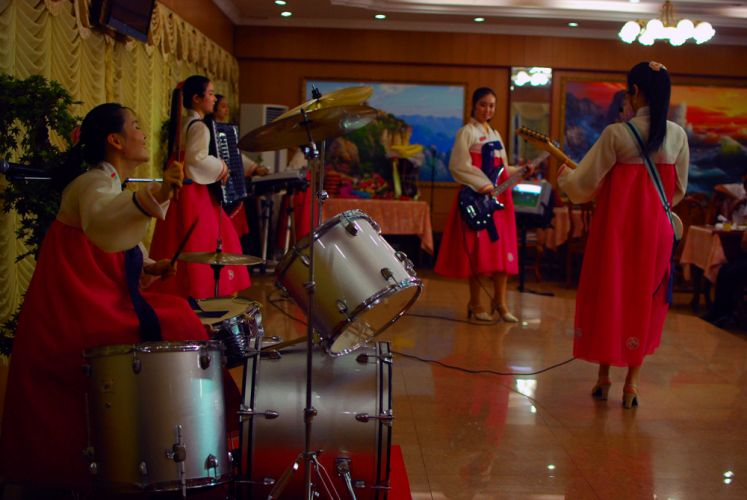 South Korea is home to more than 23,500 North Korean defectors as a constant stream of North Koreans has fled their communist homeland to try to avoid chronic food shortages and harsh political oppression. PARIS, May 1 (Yonhap) — A North Korean defector who is the only known person to have escaped from a notorious political prison camp in the North has appealed for global action to prevent the ongoing tragedy of political prisoners in the isolated nation. Shin Dong-hyuk, who was born in a North Korean concentration camp and escaped to freedom in 2005, gave a personal account of life there, saying inmates were subjected to torture, hard labor and arbitrary execution. PAJU, South Korea, April 28 (Yonhap) — About 40 North Korean defectors launched balloons carrying anti-Pyongyang leaflets into the communist state Saturday, as the communist country stepped up its saber-rattling against the South. The activists from the Fighters for Free North Korea group sent 10 large balloons carrying 200,000 leaflets from Imjingak pavilion in the northern border city of Paju about 50 kilometers northwest of Seoul. Activists in the South have frequently sent propaganda leaflets across the border, condemning the autocratic North Korean regime and calling for an uprising against the leadership. The isolationist country is currently ruled by Kim Jong-un, the grandson of the country’s founder Kim Il-sung. Pyongyang has frequently threatened retaliation for the South’s anti-regime propaganda activities including the launching of leaflets, although no real actions have been taken place so far. Recently, the North threatened military retaliation against South Korean President Lee Myung-bak and those that have insulted the integrity of the communist regime. Eight North Korean defectors who fled a logging camp in Russia arrived in South Korea earlier this month. According to a government source, the eight defectors arrived in Seoul aboard a Russian passenger jet on April 13 with the aid of the South Korean Embassy in Moscow. They are being interviewed at a government facility in Siheung, Gyeonggi Province about the motive for their defection. The eight are just part of 40 North Korean loggers who are waiting in Moscow to go to South Korea. The loggers were sent to Siberia seven to 10 years ago to earn foreign currency but apparently fled because they could not endure the harsh weather, extortion and constant surveillance. With the help of religious support groups, they were granted refugee status by the UN, but Moscow refused to let them leave after former North Korean leader Kim Jong-il’s visit to Russia in August last year. Kim Hee-tae, head of one religious group, vowed to maintain contact with the remaining 32 and make sure they too can come to South Korea. Yomiuri Shimbun reported on the 18th that the Chinese government has stopped forced repatriation of the North Korean defectors in China however no guidelines or situations have changed. Rather, crackdowns on the defectors have intensified. The Japanese newspaper citing a Chinese official revealed, “The Chinese government stopped forced repatriation for reasons that North Korea did not give them advance notice on their long-range rocket launch”. The Shimbun stated, “The Chinese government even after the death of Kim Jong Il in December of last year has repatriated roughly 30 defectors to North Korea everyday”. SEOUL, April 20 (Yonhap) — President Lee Myung-bak on Friday urged North Korean leader Kim Jong-un to give up the collective farm system and privatize state-owned agricultural land to help enrich the North and its residents. In a special lecture given at Seoul’s Education Center for Unification, Lee also called on the young North Korean leader to pay greater attention to the human rights and defector issues. “North Korea should abandon its collective farm system and shift to the privatization of agricultural land. If so, rice will be abundant in two to three years. Farmland privatization will help individuals earn more and the state increase revenues,” Lee was quoted by his spokesman Park Jeong-ha as saying in the lecture. 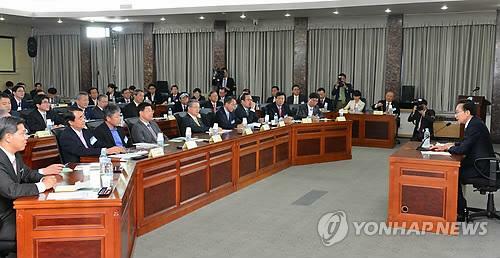 Lee went on to ask Pyongyang to pay more attention to the defector and human rights issues. “Human rights is an issue as important as the North Korean nuclear problem. I believe what is most necessary for the North Koreans is human rights,” Lee was also quoted as saying. “Bread is important. But in this 21st century, freedom of individuals is as important as bread,” said the president, noting it is getting increasingly difficult to maintain a dictatorial regime in this informatization era. The Chinese government has halted the repatriation of North Korean defectors, apparently in response to South Korean requests and because it is angry that the North went ahead with its rocket launch. The Yomiuri Shimbun on Wednesday cited an official from China’s Liaoning Province as saying China, which had been repatriating up to 30 North Korean defectors a day since the death of North Korean leader Kim Jong-il in December, recently stopped doing so. China has joined other world powers in warning North Korea that they will not tolerate any more provocations after the isolated nation’s failed rocket launch last week. U.S. Secretary of State Hillary Clinton said late Monday in Brasilia that the UN Security Council members, including China, are agreed there will be “further consequences” in the event of another provocative act by North Korea. Recent satellite photographs show Pyongyang may be preparing for an underground nuclear test. In the News – China eases repatriating policy! South Korean government ministries say they have received no confirmation China has stopped, at least temporarily, repatriating North Koreans. A Japanese newspaper, Yomiuri, says an unnamed Chinese official in Liaoning province told its reporter such forced returns of North Koreans to their home country had stopped. The newspaper says the suspension reflects China’s displeasure with North Korea for the controversial rocket launch. Ahead of the launch, China permitted five North Korean defectors to leave for South Korea. The North Koreans had long been holed up in South Korea’s Embassy in Beijing to avoid arrest. South Korea and international rights groups have called on China to alter its policy, saying those sent back to North Korea face retribution, possibly including death sentences. The two Koreas have no diplomatic relations. They technically remain at war as they never signed a peace treaty following a devastating three-year conflict in the early 1950s. SEOUL, April 17 (Yonhap) — A lead vocalist of the well-known disco group Boney M said on Tuesday that North Korean defectors detained in China should be given a chance at freedom, calling for Beijing to show leniency. “There should be some kind of leniency, giving these people (defectors) a chance to live a life they have chosen,” Liz Mitchell said at a press conference in Seoul before playing a concert on Saturday. Dinner at Pyongyang Restaurant at Seven? SEOUL, April 16 (Yonhap) — The well-known disco group Boney M plans to show support for North Korean defectors who face repatriation in China during their visit to Seoul this week for a concert, the event organizer said Monday. The four-member vocal group, which achieved massive popularity during the disco era of the late 1970s, is scheduled to play a concert in Seoul Saturday and will donate part of ticket sales to a local defectors group, according to Howard Kim, manager of concert promoter Btechnic. “Boney M thought the issue of forceful repatriation of North Korean defectors is in line with the philosophy of their songs,” Kim said, adding the group will hold a press conference in Seoul Tuesday to urge Beijing not to repatriate defectors detained in China. Some 100 North Korean defectors are reportedly in detention in China and face deportation back to their communist homeland, where it is feared they will receive harsh punishment and even execution, according to a South Korean lawmaker. At the height of their popularity, the group released “By the Rivers of the Babylon” in 1978, which became the second highest selling single in British chart history. The song, which was also Boney M’s only U.S. Top 40 hit, is about freedom for the oppressed. “Boney M is scheduled to visit the Chinese Embassy (in Seoul) Wednesday to show support for defectors who are on a hunger strike and participate in a candelight rally (against forceful repatriation),” Kim said. Defectors and activists have been staging hunger strikes to protest against Beijing’s policy of repatriation in front of China’s mission in Seoul. Most recently, high-profile South Korean lawmakers have joined the rallies. Beginning on Tuesday, members of Harvard Human Rights in North Korea (HRiNK) will fast for 31 hours to raise awareness about the 31 North Korean defectors recently repatriated by the Chinese government. The defectors face imprisonment, forced labor, and possible execution in their native country. For HRiNK co-president Rainer A. Crosett ’14, the fast is an opportunity to correct Harvard students’ misconceptions about North Korea. Crosett added that the organized fast highlights the daily reality of famine and food shortages for many North Koreans. “I think it’s a wonderful idea because the experience of so many of the North Korean people and refugees is one of intense hunger,” he said. One of the North Korean defectors who arrived in South Korea from China early this month was a teenager who had been hiding at the South Korean Consulate in Shenyang. According to a diplomatic source in Seoul on Thursday, China sent him to South Korea along with the three family members of a South Korean prisoner of war who had been living in the Consulate in Beijing. “It seems China let go the teenager who was hiding in the consulate because it’s tired of the international focus on the plight of young North Korean defectors,” the source added. China drew international condemnation when it emerged that the 14- and 18-year-old grandchildren of the South Korean POW had been living in the Beijing consulate for as long as 34 months. 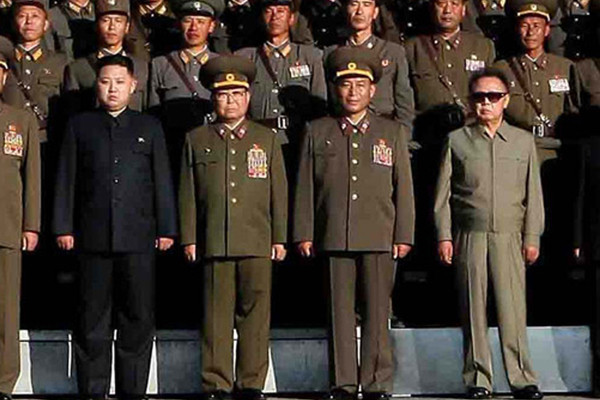 China is apparently planning to let another seven North Koreans hiding in South Korean diplomatic missions in Beijing and Shenyang travel to Seoul in the near future. SEOUL, April 5 (Yonhap) — A North Korean defector-turned-spy was sentenced to four years in prison for attempting to kill a fellow defector in South Korea at the order of the communist regime, court officials said Thursday. The secret agent, surnamed Ahn, was charged with plotting to kill Park Sang-hak, a defector leading anti-Pyongyang propaganda activities in the South, with a poisoned needle in September. He was also ordered to pay 11.75 million won (US$10,399) in fines, the equivalent of his payment from the North. “Severe punishment is needed for crimes that can threaten the existence and safety of the Republic of Korea (South Korea),” the Seoul Central District Court said in a ruling. “However, (the court) took into consideration the circumstances that led Ahn to commit the crime, such as the fact that he was unexpectedly given the poisoned needle while gathering North Korea intelligence for the National Intelligence Service (NIS),” the South’s spy agency. Ahn defected to the South in 1995 and served as a director of a company handling inter-Korean economic projects. In 2010, he came into contact with a North Korean spy during business trips to Mongolia, and was later ordered to carry out the assassination, court officials said. 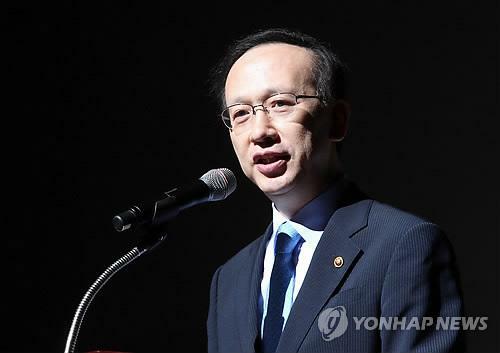 Ahn said he followed the instructions out of resentment for the NIS, as he informed the agency of the assassination plot and offered to gather top intelligence on the communist regime, but was rebuffed and even warned of possible legal consequences, according to the officials. North Korea has said it opposes all forms of terrorism, though it has a track record of terrorist attacks against South Korea. The Koreas are technically at war with each other after the 1950-53 Korean War ended in a truce. SEOUL, April 4 (Yonhap) — North Korea’s determination to go ahead with a planned long-range rocket launch is indicative of the new regime’s “structural intransigence” under young leader Kim Jong-un and a “self-defeating” choice, a South Korean unification policy advisor said Wednesday. 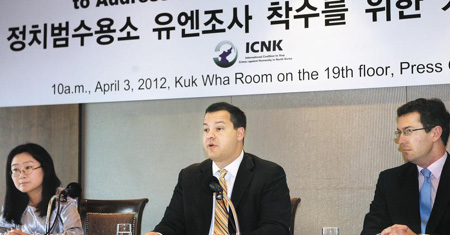 Hyun In-taek, a unification policy advisor to President Lee Myung-bak who served as Seoul’s point man on North Korea for almost three years until last October, forecast a repeat of the North’s provocations in 2009, when it last launched a long-range rocket in April then conducted its second nuclear test a month later. Over 10,000 people die in North Korean prison camps every year, 20 to 25 percent of them from forced labor, the International Coalition to Stop Crimes Against Humanity in North Korea said Tuesday. The group consists of some 40 leading human rights organizations and activists including the world’s big three — Amnesty International, Human Rights Watch and the International League for Human Rights — and was established in September last year. In a press conference Tuesday it called on the UN to carry out a special investigation of North Korean gulags and said it submitted a petition to the UN Human Rights Council. Based on testimonies of North Korean defectors, it says there are six political prisons in the Stalinist country housing 150,000 to 200,000 people who are subject to inhumane treatment such as forced labor, torture and public execution. It said the work of just one UN special rapporteur on North Korea is not enough to save the vast number of political prisoners there and urged the UN to establish a commission to investigate crimes against humanity in the isolated country.